What Flavour? a photo by BaboMike on Flickr. 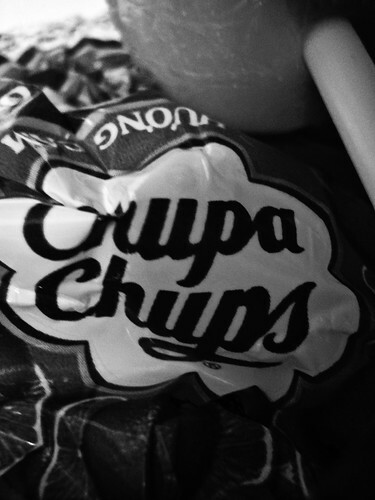 Ah, Chupa-Chups. Lolly of the gods. Well, they are hard to refuse. A Free Chupa-Chup? Even harder to refuse. Even more amazing, it was a bank (NAB) giving them away trying to drum up some friendliness with the locals I guess. Either way, I scored a cookie and a chupa-chup. Why the black and white? Well, it didn’t work in its original colour, but speaks to me more in B&W. The day? Much better after chupa-chups came into it. A quite busy and productive day in the Library, I’m starting to get the hang of things and am also slowly gaining an understanding of what my role here entails. Its just such a big complex system that I’m part of.